I have never missed a Bond movie, if only because of the fierce cars that are acting so well. In addition to the explosions and many gunshots, the real thrills are the chases. When it comes to choosing your fave Bond car, most of us will say the DB5. Some will go for the one-off Toyota 2000GT Spyder. Most youngsters definitely fell in love with the DBS, but very few will answer that the best Bond car ever was a… Hispano-Suiza! Something that CHB boss Rose Atalante will really appreciate. After having seen this staggering apparition, I immediately had to check in my Hispano bible (a book written by Mr Schmid d’Andres) to find out who did the coachwork on this marvelous J12. According to the book, it was built by the magician from Neuilly, stylist and coachbuilder Jacques Saoutchik (please read this great article on CHB written by RAV, to learn everything about this incredible man by clicking here). I was astonished that this cabrio is a Saoutchik, because it is just a bit sober or on the safe side for a Saoutchik creation, though it is stunning. I am a big fan of this coachbuilder, but it just felt like a little bit strange or surprising… The body has, unlike most of the Master’s creations, not his usual special eccentric touch. Great Britain‘s favorite agent was definitely a lucky man when chauffeured in a Hispano. Furthermore just a legendary J12 model, one that gave a great honor to the work of the famous French Master coachbuilder. But what I later learned will show you that sometimes history has some curious concurrences. 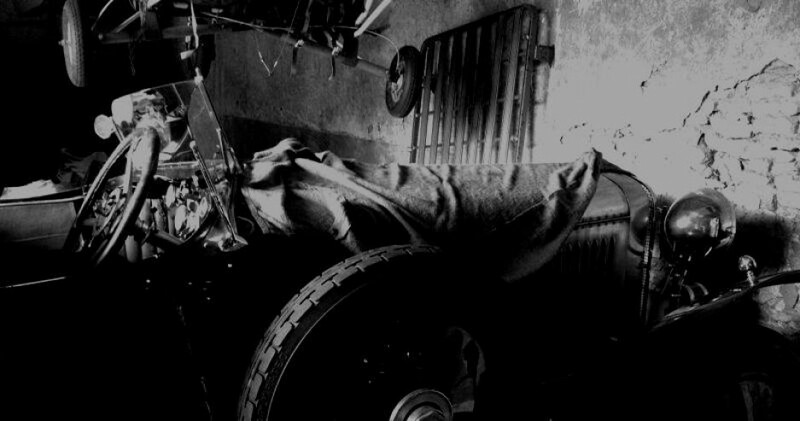 The Saoutchik J12 was ordered new by a Czech cinema mogul and then went to another movies mogul – Michel Seydoux, a great French car collector and Gaumont film producer. Seydoux… doesn’t make this name remind you of something? Sure… Léa Seydoux, the new James Bond girl! She is the niece of Michel Seydoux, the owner of Bond’s Hispano! Coincidences don’t exist? It is proven with this article. Just incredible, isn’t it? History is from time to time just a full circle… Lets take a look at a before and after shot, which one does suit you the best?